As I speak at different conferences across the country about school technology I am often asked about keyboarding. I know it doesn't sound all that exciting but I believe it is one of the greatest tech skills that students need to develop. Many school districts have dropped keyboarding, or typing, from the curriculum in both middle and high schools. It has been pushed down to the elementary-aged students. By the time a student shows up in middle school they need to already be proficient at keyboarding. Many of the assignments that are given to 12-year-olds and older are to be completed on a computer, not many teachers will allow hand-written work any more. If a student shows up at middle school only typing a few words a minute they are severely handicapped. Imagine an assignment to do a 1000 word essay on the U.S. civil war. After about 30 minutes of work the student who is struggling at 8 to 10 words per minute is still working on his opening paragraph while another student who is at 50 to 60 words per minute is done. I once had a 5th grade student that could type at over 100 word per minute, imagine his advantage over his classmates. 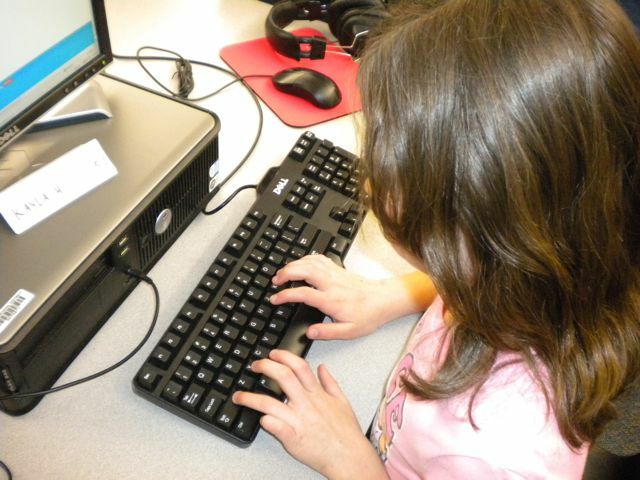 A student who struggles at keyboarding will struggle at school. He could be a very bright student with horrible grades because of keyboarding. I will give more details on this tomorrow, everything from kindergarteners who lose letters to 5th graders who can type blindfolded.